We invited IB Diploma graduates to reflect on post-IB life and offer perspectives on topics of their choosing. Alumna Kristin Waites is one of this year’s cohort of alumni contributing authors. With my college graduation behind me and a new job on the horizon, it’s odd to think that I won’t be heading back to school any time soon. Education is a part of me – it has defined my life in many ways I never would have thought possible, and my IB Diploma was a big part of that. Not only has it affected how I view my schooling, but IB also changed the way I live my life. Now that I am no longer a student, it’s more challenging for me to see, but I hope that my introspection is something that resonates with you, whether you are an IB graduate, preparing for exams, or just trying to decide if it is the right thing for you. I grew up in a small suburb of a major city – I had an utterly normal childhood, which could have led to an utterly normal adulthood. But I left high school with not just an understanding, but an appreciation of cultures other than my own. This has shaped my life experiences in many different ways, particularly as I explore my views on tolerance, religion, and even friendships. This sense of worldliness is what gives me the urge to travel, and not just as a tourist. It gives me the urge to learn about other cultures, and to participate in them as fully as I can. This is one of the most central parts of my personality, and it came from my experiences being exposed to this kind of open attitude about the world. The urge to learn that is cultivated in IB classes isn’t something that ever goes away, and I think it’s probably the most valuable thing I gained. In my IB classes, I was encouraged to ask questions, to doubt, to wonder. I wasn’t just taught things, I was taught to learn, and that has been something that has followed me through my schooling and beyond. I may no longer be a student, but that doesn’t mean I can’t continue to learn and ask questions (which I make a point to do often, as anyone who knows me has discovered). Before I started my IB classes, I would never have dreamed of speaking up in a theory of knowledge (TOK) class and telling everyone what I thought. It just wasn’t something I was comfortable with, and I didn’t think that would change. But with great teachers and mentors, I’ve been encouraged to go beyond what I thought I could. And I am not only a better student because of it, I’m a better person. 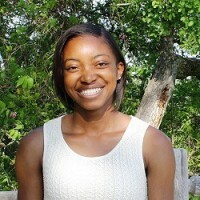 Kristin Waites is a recent graduate of Baylor University with a BA in Professional Writing. She graduated from the IB Diploma Programme at Garland High School, US, in 2012. Kristin is using her degree to pursue a career in publishing and hopes her writing will help other IB graduates pursue their passions as well.